The now-famous Epperson Lagoon has officially been unveiled marked by a tropical celebration featuring water ski shows, mermaids, live music and more. The massive, man-made Metro Lagoon by Crystal Lagoons® amenity at Epperson held its Grand Opening celebration in Wesley Chapel this April. The highly anticipated event marked the completion of the 7-acre lagoon, first of its kind in the United States. 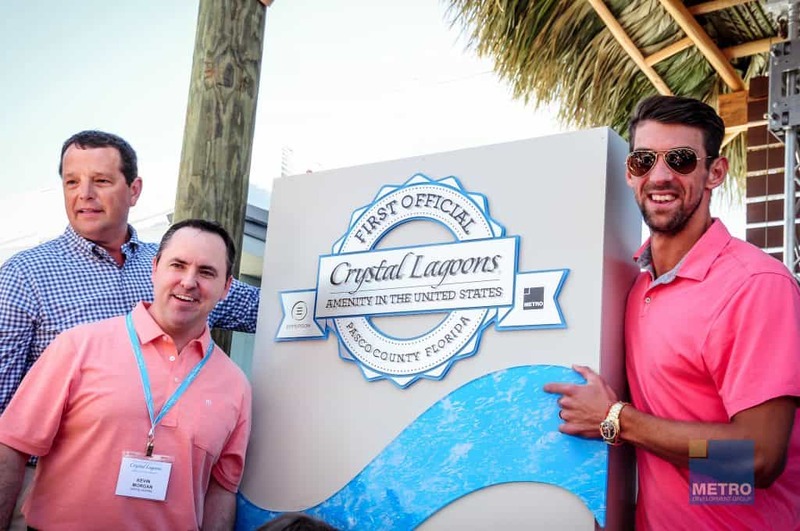 Hundreds of residents and guests flocked to the Grand Opening of the Crystal Lagoons® amenity at Epperson to be the first to experience this never-before-seen facility. Flyboarders put on their best performances, flying high and doing tricks above the pristine water and water ski shows enticed everyone who had the chance to view them. Mermaids and pirates were on-deck to meet and greet guests and take photos with the kids, while upbeat live music and food kept everyone at the party happy. Metro Development Group partnered with Crystal Lagoons® to build the lagoon in the heart of the Epperson housing development in Wesley Chapel. The community has already sold dozens of homes and the 7-acre lagoon promises to provide a slice of paradise to all residents with private cabanas, a swim-up bar, yoga lawn and a family beach. Metro Development Group and Crystal Lagoons® already have plans to build a total of nine lagoons throughout Central Florida, exclusive to Metro Places.